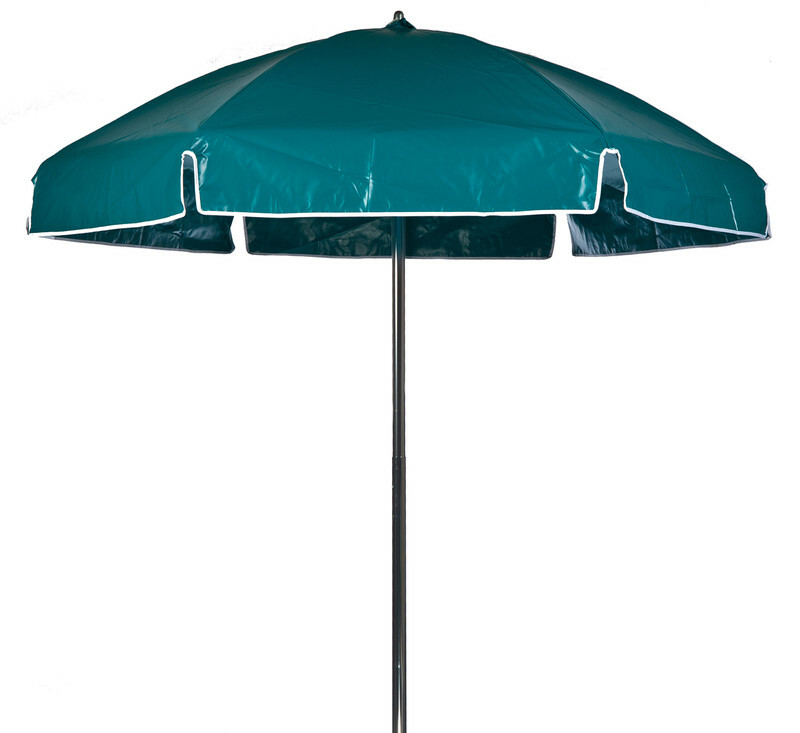 Our 6 1/2' Heavy Duty Solid Color Vinyl Lifeguard Umbrella has a commercial quality frame with 1.3 mil aluminum thickness, tilt and valance. 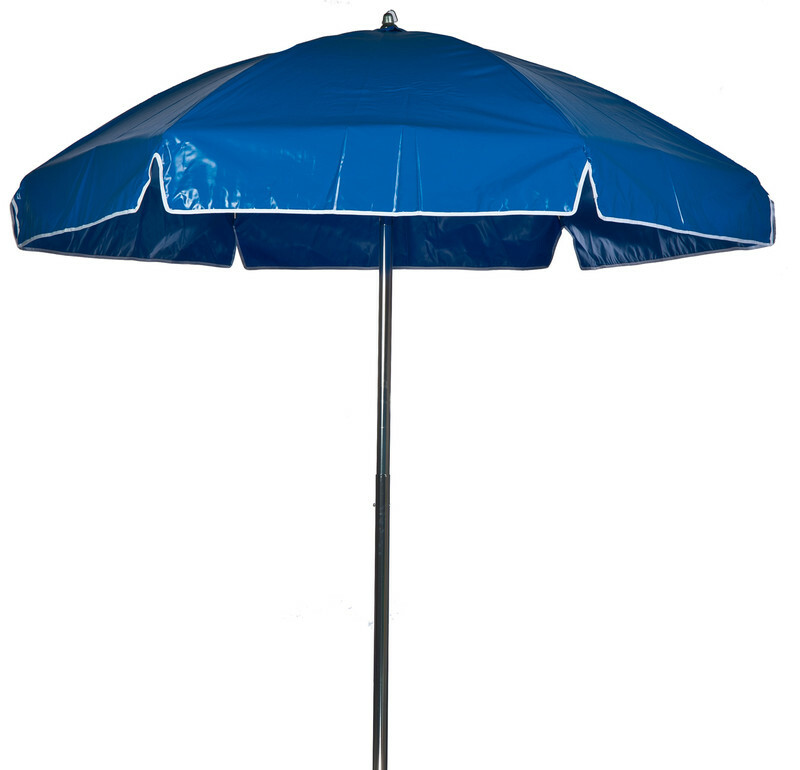 Same heavy-duty vinyl fabric and same construction as our original striped Lifeguard umbrella but in solid colors. 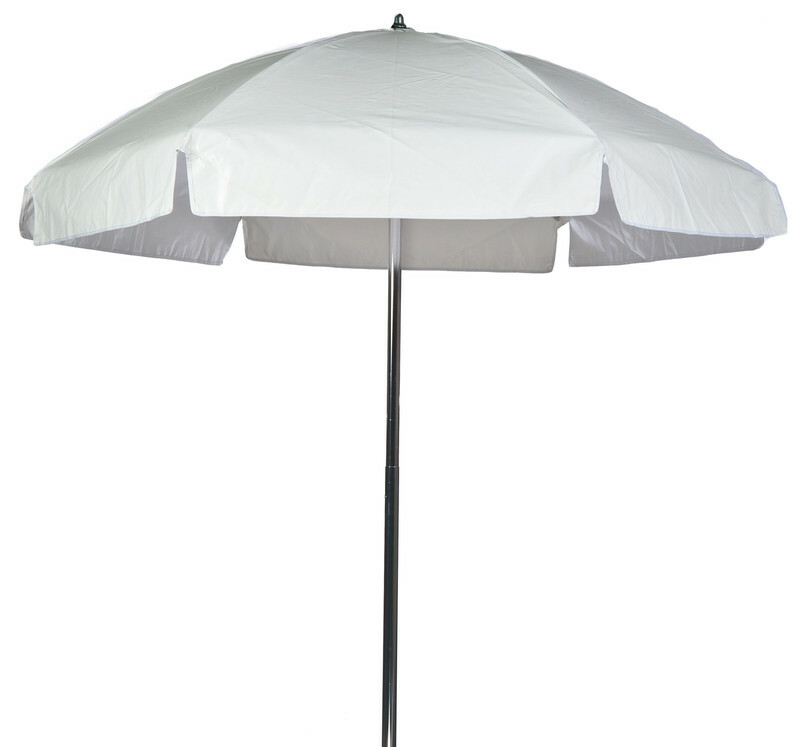 This lifeguard umbrella features stainless steel spoke joints and rivets; joints are wired into frame and an easy open/close mechanism. 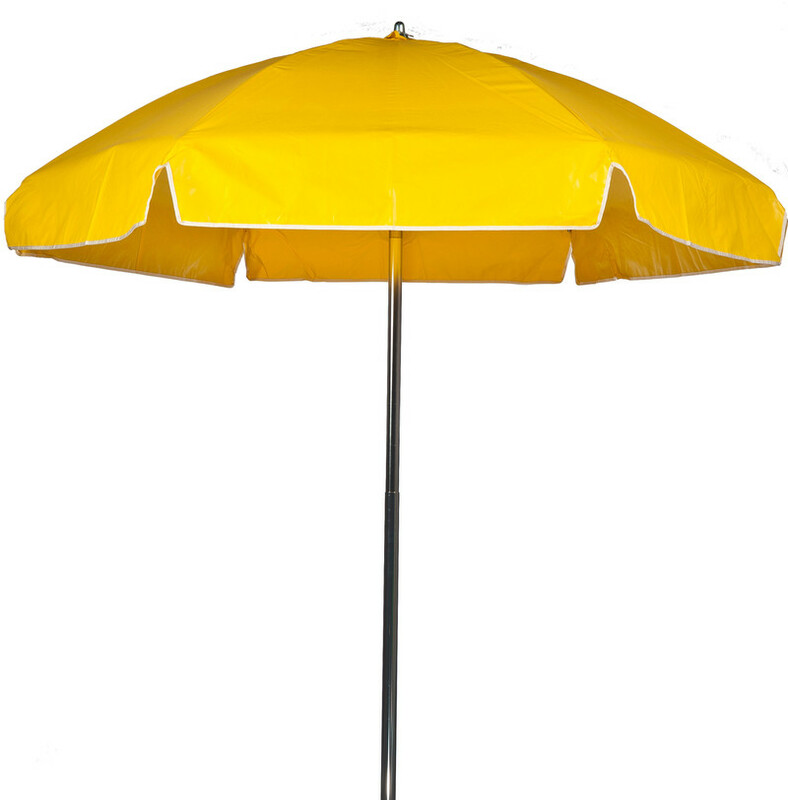 Ribs are 5.2 mm thick (chrome plated steel). 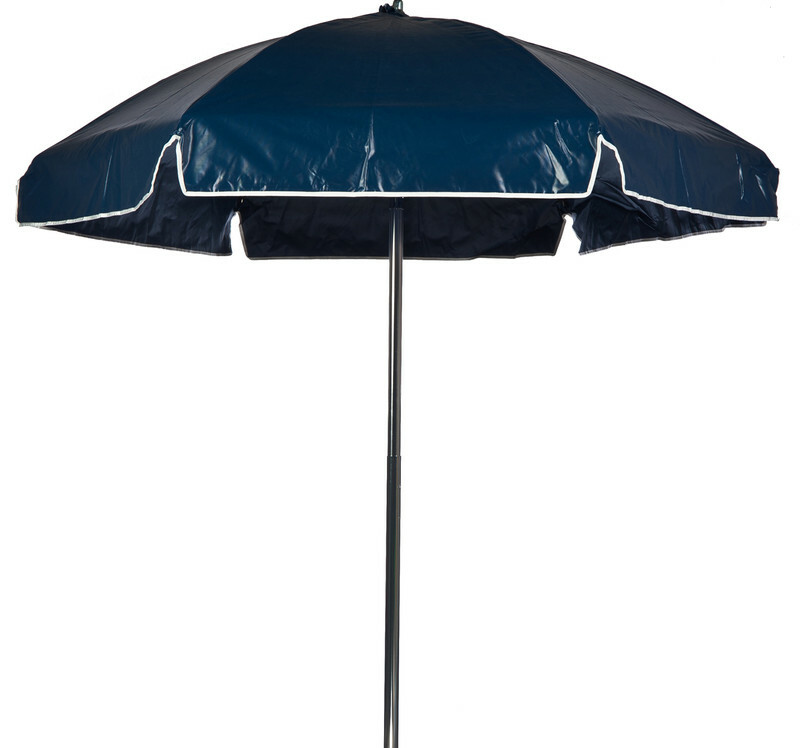 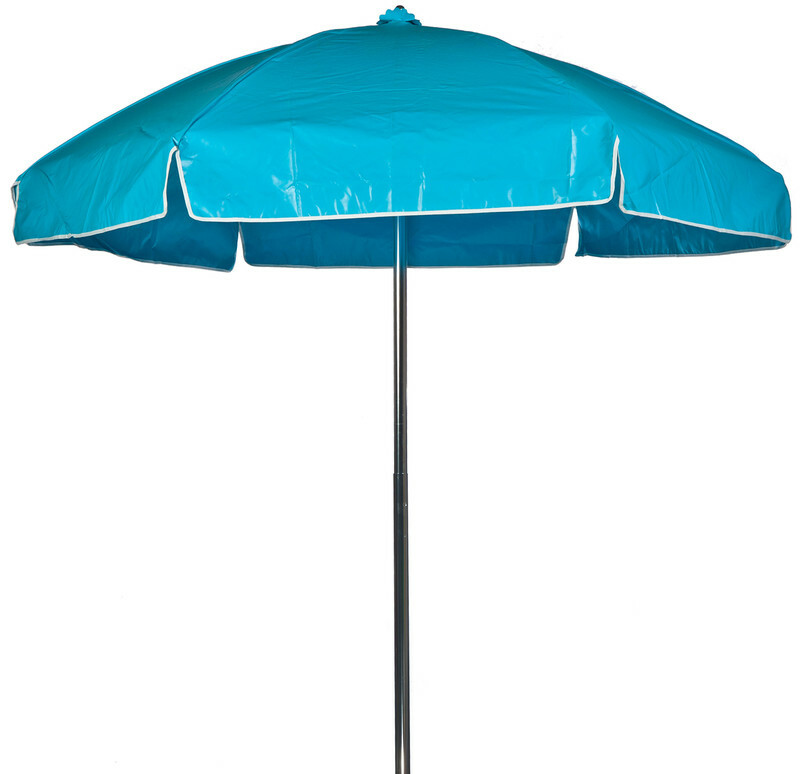 This umbrella also includes steel bell cap, not plastic and durable grade 5 vinyl - higher UV resistance. 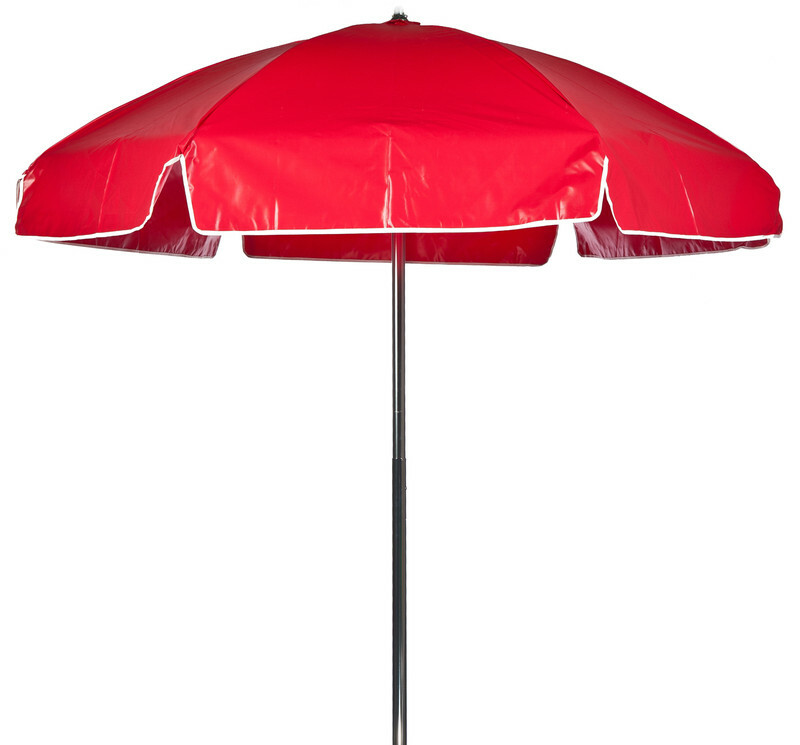 One year warranty against manufacturer defects.